Head for the spectacular coast for spectacular eats, sips, and chef-posh meet-ups. Head for the spectacular coast for spectacular eats, sips, and chef-posh meet-ups from Thursday, April 20 through Sunday, April 23. CHEFS AND BEVERAGE PROS... who'll make the scene, lending advice, giving tips, and chitchatting with fans. Thomas Keller, Curtis Stone, Ming Tsai, and Nancy Silverton are four of the top-tier names associated with the 2017 spetacular, which will spread out at the Pebble Beach Resorts from Thursday, April 20 through Sunday, April 23. Still thinking about bready, cheese-lovely appetizers and all of the edibles to sample? 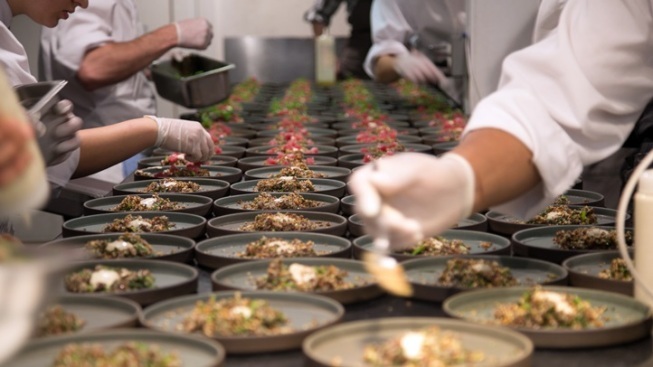 Lunches and dinners include the Lexus Chef's Table, Sunday Gravy, and the Grand Finale Dinner, while wine seminars put the focus on rieslings, Guigal Rhones, and Burgers & Wine. The Lexus Grand Tastings on April 22 and 23 will also be bustling, too, and do expect a cameo from Drew Barrymore, who'll be there to talk Barrymore Wines. It's a decade-delightful to-do, with several majors coming in for demos, dinners, and more. Are you in? Find your anticipation-filled way to pretty Pebble Beach.